Deep in the McDonnell Ranges there are a number of impressive gorges, several with their own permanent waterholes. 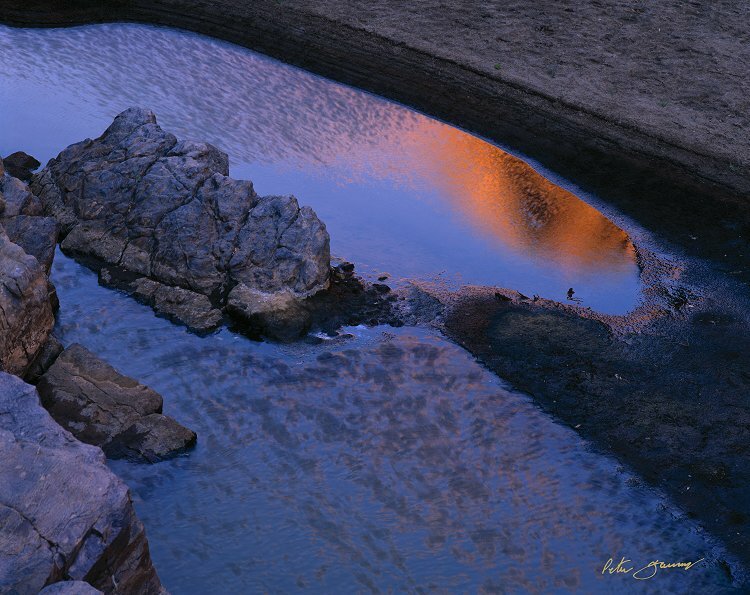 The windswept surface of a small waterhole reflects the late afternoon glow from the high walls of Ruby Gorge. As the sun descends for the afternoon, one wall will become shaded, but will be illuminated by light bouncing off the other. The soft light reflecting into the shaded side of the gorge warms up the already orange and red coloured stone even further, occasionally seeming to set the gorge on fire.